Imagine your friend invests in a new GPU to upgrade their already expensive gaming PC so they can play the latest blockbuster video game. Now imagine you open the Chrome browser, and then open a new tab to play the very same video game. While your friends computer kicks into high gear, fans blistering, your computer (perhaps even a Chromebook) stays cool and quiet, because all you’re doing is streaming. That’s the idea of Google’s Project Stream cloud gaming service. Rather than needing high-end hardware, Project Stream allows you to use whatever computer you have around to play video games. Google handles all the heavy lifting on its own servers, which can process the game at high resolutions and frame rates, encode it into a stream, and deliver the stream to you over the internet. It may sound almost too good to be true, and only time will tell if it is. Right now, the Project Stream service is in Beta. And, while it’s not perfect, it gets the job done, and serves as an impressive showcase of what the future of cloud gaming could look like. It’s not clear how the final product will work, whether Google will maintain the Project Stream name, or even whether Google will continue the project after this beta. But, for the moment, as long as you’re connected to the internet with a fast and stable connection and you’re using a recent desktop version of the Chrome browser, you’ve got the setup needed to use Project Stream. Playing a video game on Project Stream is as simple as opening a new tab in Chrome and going to the Projectstream.google.com page. Google will prompt you to run a connection test that checks your internet bandwidth, the latency between your computer and the servers, and any data loss. Google requires a streaming rate of 15Mbps, latency below 40ms, and data loss below 5%. With these requirements met, you’ll be ready to dive into a game. The beta of Project Stream is offering Assassin’s Creed Odyssey, which is nothing short of a demanding title. When you launch the game in your Chrome tab, it will go fullscreen, and run exactly as if it has been launched on a proper gaming computer (except without a deep graphics settings menu). You can play with a keyboard and mouse or connect a game controller and play that way. The limits of Project Stream haven’t been detailed, but Google has shown off the service running at 1080p and 60fps, pretty much the bar for quality PC gaming. So, in effect, you’re opening a new tab that pipes all your inputs to a high-end gaming PC that streams back the visuals and audio to your computer screen. This system is simpler than some others, which set you up with a virtual desktop that then remotely runs Steam, Origin, Battle.net, or what have you. 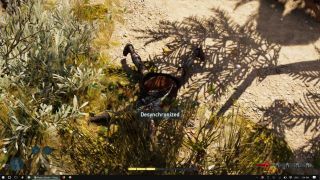 In the case of Assassin’s Creed Odyssey on Project Stream, you are still required to log into a Ubisoft account to play, but beta testers aren’t required to own the game. What games will be available on Project Stream? Through the Project Stream beta, the only available game is Assassin’s Creed Odyssey. While this doesn’t give us much idea of what games Google will offer in the future, it does give us a good idea of what games Google could be capable of offering. For 4K at 30fps and high settings, the recommended specs bump up to include 16GB of RAM, a more powerful AMD Ryzen 1700X or Intel Core i7 7700 processor, and a beefier AMD Vega 64 or Nvidia GeForce GTX 1080 graphics card. With Project Stream shooting for 1080p at 60fps, the type of system it’s offering would fall somewhere between Ubisoft’s recommended specs. 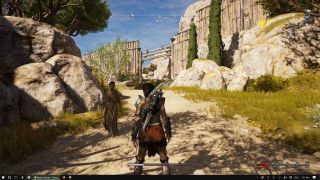 The truth is a computer that can handle Assassin’s Creed Odyssey at 1080p 60fps is going to be capable of playing a whole lot of games at these settings. Other major titles could easily see support on the service. Games with a major online focus may have dicier prospects on Project Stream. Since competitive online games are often fast-paced and require split-second reaction times, the extra latency introduced by streaming will likely be an issue for serious competitors. That said, we don’t see these games being unplayable on the service. What’s Project Stream like to use? At its best, Project Stream is good. At its worst, well, Google won’t let you play below a certain threshold of quality, and you wouldn’t want to anyway. We tested Project Stream on varying setups. We played on an unstable 2.4GHz Wi-Fi connection, a fast and nearby 5GHz Wi-Fi connection, and on an ethernet connection held steady and offered high bandwidth. Overall, the graphics are fairly good throughout, especially when playing on a high-bandwidth connection using ethernet cables. Colors, shadows, and anti-aliasing look fine, and the frame-rate seems to vary between 30 and 60fps. The low frame-rate was one of the two issues we noticed. The other was compression. Most of the time, it’s not super jarring, but when there’s a lot of detail in a scene and a lot of movement, the compression turns it all into a bit of slop. Character faces become a blur and hard edges (noticeably the character’s hair) go soft. While the price and service model Google adopts will go a long way in determining whether Project Stream is worthwhile, we can say right now that it works, and it looks good doing it. But, will Microsoft’s xCloud do it better?